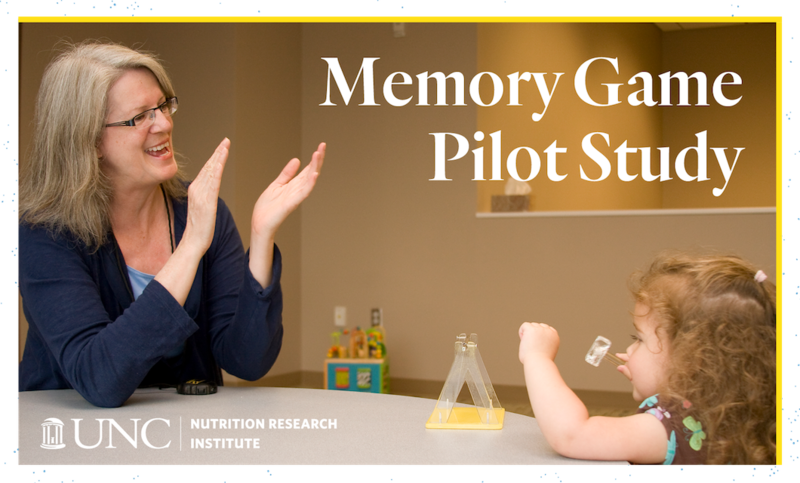 The Cheatham Nutrition & Cognition Lab at the NRI is undertaking a new pilot study with 12- and 24-month-old children called the Memory Game Pilot Study. In this study, the researchers will be validating the props used in the elicited imitation paradigm, a nonverbal means of assessing declarative memory in preverbal children. The props, which have been designed and produced in the Cheatham lab, will be implemented with a cohort of infants of the same ages in Thailand in an NIH-funded collaborative study with Emory and Rutgers Universities. Before they can be used in Thailand, the feasibility and durability of the designs must be proven. With this pilot study, the Cheatham lab researchers seek to do just that. All of the events have been designed so they can be used with many age groups, since they are designed to be 2-, 3-, or 4-steps events. Declarative memory abilities will be assessed using age-appropriate elicited imitation paradigms. This type of memory is supported by the medial temporal and frontal lobe structures. In this paradigm, 3D props will be used to produce novel multi-step sequences comprised of 2 or 3 actions, based on age (12 or 24 months, respectively). Participants will be tested for recall of specific sequences immediately (a measure of initial encoding) and after an age-specific delay, 10 or 20 minutes, respectively (a measure of the ability to successfully transfer information to long-term memory stores). The number of steps and the length of delays have been shown to be appropriate for these age groups. Two hypotheses will be tested to validate the newly-designed props for 12- and 24-month-old children. Hypothesis 1: Twelve-month-old infants will be differentially successful on the 2-step events with a 10-minute delay: Analyses will not result in a floor or ceiling effect. Hypothesis 2: Twenty-four-month-old toddlers will be differentially successful on the 3-step events with a 20-minute delay: Analyses will not result in a floor or ceiling effect. To see if your child qualifies for this study, click here. Read more about the Cheatham Lab’s work here.